Marius Lauber’s debut album is in itself a feat of many surprises. The Cologne, Germany-based artist, who records and produces under the moniker Roosevelt, takes measures to make sure that this initial self-titled offering feels far from conventional, yet remains accessible to those who crave new sounds. Upon first listen of the self-titled debut, Roosevelt’s origin should not surprise many diehards of electronic music, as the genre is very much rooted in the land of the Rhine, with forerunners of synthpop such as Kraftwerk and Neu! both hailing from the country. 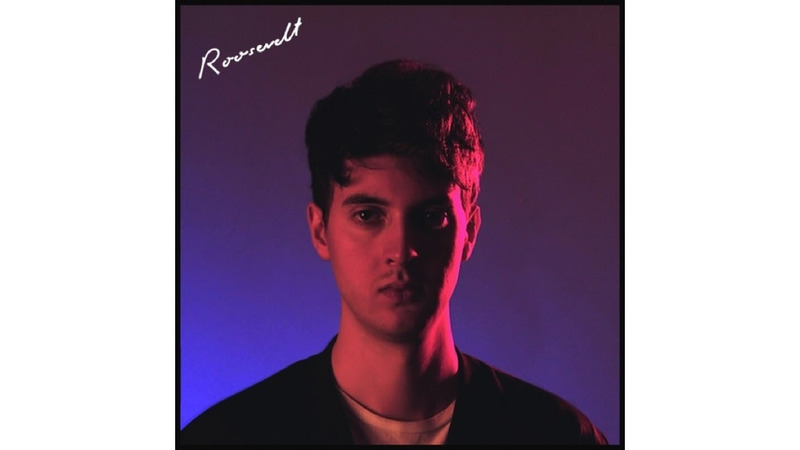 Roosevelt takes what made those early electro artists special and combines it with the hooks and catchy songwriting from modern artists such as Hot Chip and Future Islands. On the first single from Roosevelt, “Sea,” Lauber uses a dynamic ‘80s bass stab to drive the song and gradually augments the track from there. His serene vocals summon listeners into a trance-like state. “Sea” is a fine representation of what Roosevelt does so well throughout the album. By linking both the knowhow of production software and his gifted vocal talent, Lauber has created a surefire winning amalgamation that has started to become more popular in electronic music. As we are beginning to leer away from mainstream EDM, artists such as Roosevelt prove that solo vocalists/producers have a place in more alternative subgenres of electronic music as well. This album is indeed loaded with great songs besides “Sea,” including “Fever,” a track that feels like a much-needed cry back to the heyday of disco in the ‘70s and ‘80s. In addition, one of the first tracks on the album, “Wait Up,” nails the album’s mission right on the head. The lyrics and songwriting here are the strongest of the majority of tracks on the LP. There are a few duds however, such as “Hold On,” which feels a bit too indecisive compared with the rest of the album. Mostly however, Roosevelt has created a winning debut record, filled with astute production, well-crafted lyrical content, enticing chords, beautiful melodies and sun-soaked choruses. Given the album’s August release date, this is one of the nearly perfect LPs for the last few hazy weeks of a brilliant summer.